Oh how we love a long-lasting foundation that offers just the right amount of coverage, a smooth finish and a perfect colour match. But how often do you come across one of those? To most women, foundation is the most difficult makeup product to purchase, and it’s almost impossible to find the perfect one. We think we’ve found the right balance in the CATRICE HD Liquid Coverage Foundation. Why HD? HD is one of those things you think you don’t notice, but once you experience it there’s no going back. Have you ever watched a film in HD, and then seen the same footage on an analogue television? It’s like going back in time! With today’s high definition cameras, literally every line and blemish on the skin shows up, but thick, unnatural makeup is revealed by them too. That’s because high definition television projects images with 2 to 5 times the definition of older analogue sets. There’s no more place to hide! Previously, makeup artists applied a thick layer of makeup for TV; today that’s no longer possible. HD foundation allows your skin to look flawless without having that dreaded mask effect. It’s more sheer than regular foundation, allowing you to see the skin, yet it gives a much softer focus and better coverage. HD foundations are HD because of the unique way in which the pigments are coated – they are designed to diffuse light, creating the illusion of an even finish. Many of them also contain mattifying agents. 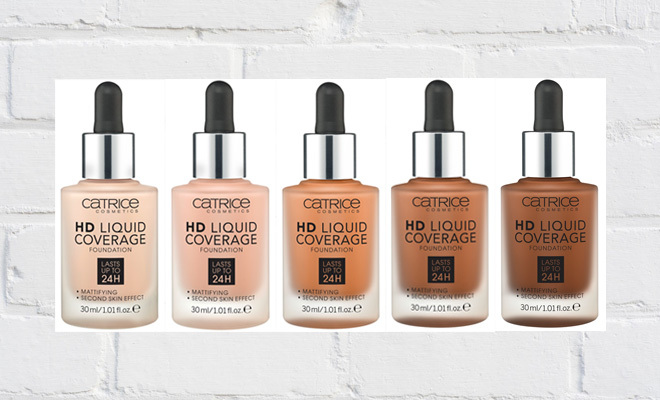 We’ve been testing the CATRICE HD Liquid Coverage Foundation and we’re blown away by the results! It’s lightweight and applies with ease; it blends effortlessly and best of all, it doesn’t feel like you’re wearing makeup at all. It stays put all day and doesn’t creep into fine lines and wrinkles. And the coverage? You’ll be amazed! It provides full coverage that easily camouflages blemishes and uneven skin tone, leaving you with an even complexion. We’ve been wearing it during the day, but you can build it for night time too, and it promises to last for 24 hours (we haven’t tested further than 14, but it stayed put!). Despite being ultra-affordable, it feels rich and luxurious. So much so, that we’re confident to liken it to some of the best (pricey!) foundations we’ve tried from department stores. It’s vegan too, making it suitable for everyone. 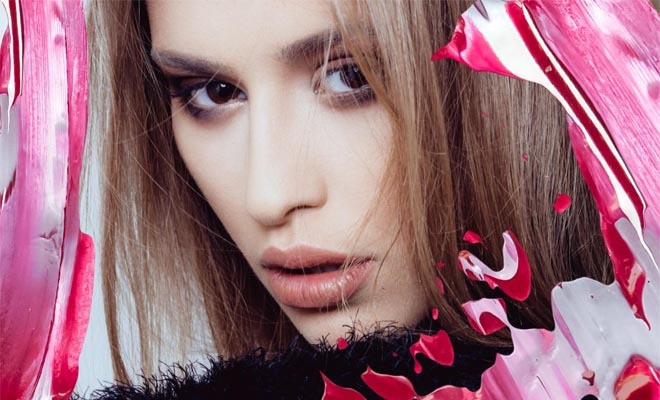 Plus, CATRICE has launched four new shades specially for the South African market! Bronze Beige, Toffee Beige, Chestnut Beige and Espresso Beige are the latest shades on offer and they make for a much more diverse and inclusive offering, yay! Get yours at Dis-Chem for a mind-blowingly low R144.95. You’re welcome. I am definitely going to try this and the price is affordable.